Our experience helps you obtain the financing you need. 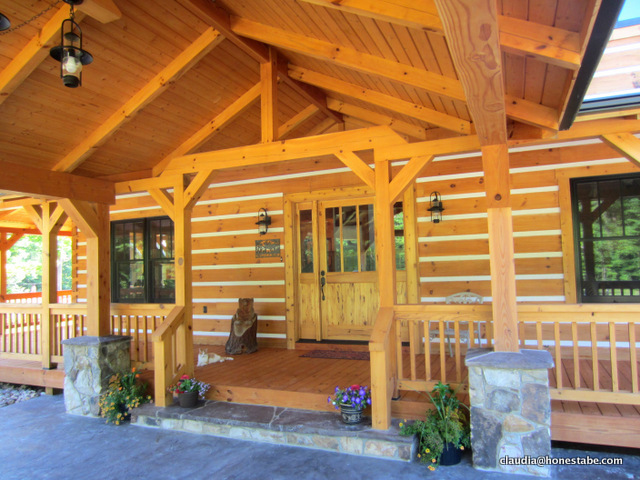 Need Help Financing Your Log Home? The Dennis and Darin’s experience in the Log and Timber Frame Home market enables them to assist with obtaining financing for your planned home. 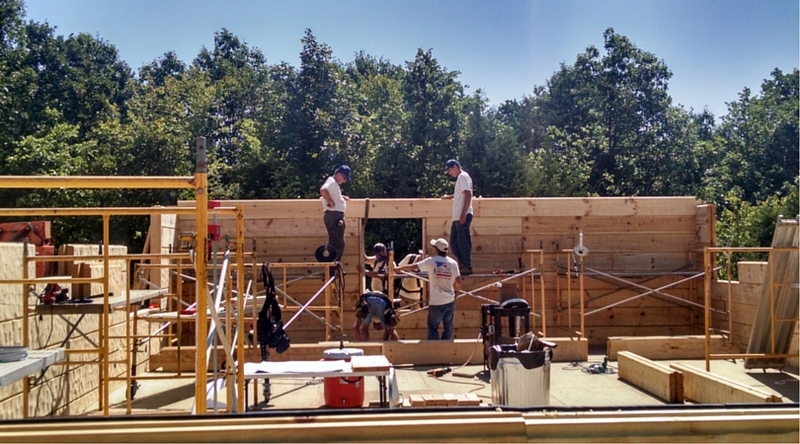 Financing a log and timber frame is not much different than a conventional home. Fortunately, the Bowmans are prepared to speak directly with lenders to help them understand how a log home is built and how the construction process works. So, do not be intimidated by financing. loves helping people make their dream come true and is willing to help every step of the way, from the initial discussion and exploration stage through the final move in. If you have any questions or concerns contact us. Unless you won the Powerball or inherited a fortune from a long-lost relative, you’re probably going to need a loan to build your log or timber frame home. Hopefully, you’ve already taken steps to strengthen your position when you meet with lenders and begin the loan application process. Banking professionals agree that four basic commitments on the part of the applicant can make a difference in obtaining the loan you need. While it might seem premature to visit a lender two years before you are ready to finance your home, it can be valuable to know if you will qualify for a mortgage. You should also check your credit reports (it’s free once each year) and address any errors. Learning how lenders will view you as a credit risk can help you best prepare for your final loan application. To improve your credit scores, pay off past-due bills, pay every bill on time and reduce balances to less than 30 percent of the credit limit on every account. Having three to five credit accounts, such as a car loan, student loan or credit card, for one year or longer helps build credit, but switching credit cards to get the best rate does not. Paying bills late or missing a payment stays on your credit report for a long time and can be detrimental. While buyers increase their savings, they should also reduce their debt. Paying off debt tops saving in terms of priorities because of the interest payments on the debt, which exceeds the amount of interest they can earn on their savings. Lenders want to see that you are managing your debt and keeping your credit card balances low. Debt-to-income ratios are an important element in a loan approval. This ratio compares minimum monthly payments on all debt to gross monthly income, and 40 percent or less is considered optimal. Create a budget and set a savings goal. Contribute consistently to a savings each month. Lenders want to see a pattern of savings. Plus, buyers will need a percentage of the total loan as a downpayment, so this is a chance to reserve that. Give us a call to discuss, confidentially, of course, any concerns. We have guided many prospective clients who are now homeowners through this step. At Mountain Stream Log & Timber Homes we’d like to help you alleviate obstacles that can prevent you having the home you’ve always wanted. We’ve worked with many clients through the process of budgeting. It’s important to create a budget that allows for home construction and considers future maintenance, and that means asking yourself some realistic questions and answering them honestly. How much will the property taxes be on your finished home and land? How much homeowner’s insurance will you need to cover your investment? and divides the total by your monthly income. The final number should not exceed 33-36 percent of the cost of the home you are planning to build. Your monthly house payment should not exceed 25 percent of your stable monthly income. We’re experienced at helping you balance what you want and what you can afford. Give us a call and let us help make the budgeting process a little less scary. Builder’s Risk Insurance – Just in Case! As customers begin construction of their new homes, we recommend purchasing builder’s risk insurance, which covers the home owner against damage to the building while it is under construction. Usually the general contractor doesn’t pay for this type insurance because the builder is only responsible for any losses due to negligence. The most common damages covered by builder’s risk include those due to fire, high winds and vandalism. As with most property insurance, it does not cover earthquakes, flood, acts of war or intentional acts of the owner. In most cases the coverage lasts only during the construction period after which time the homeowner secures a conventional property insurance policy. Check with your insurance carrier about builder’s risk insurance before you begin construction. Since log and timber homes are not the norm, some agencies may be hesitant to cover them. Don’t worry! We have companies you can talk to that have worked well with our customers in the past. If you would like to discuss how other Honest Abe homeowners have secured adequate, affordable coverage, give us a call. We’ll be glad to help.